The program is simple. All fourth grade students and members of their family can get into national park sites for free during the entire year! Students can get their pass and plan their trips at the Every Kid in a Park site. If you are able to travel beyond the borders of Kansas, just take your park pass to any NPS site to gain free entrance into any national park! You can go to Every Kid in a Park to discover how to get to some of America’s most treasured places, like Yellowstone in Wyoming or the Grand Canyon in Arizona, or some of the hidden gems of the Park Service, such as Rosie the Riveter WWII Home Front in California or the Chesapeake and Ohio Canal National Historic Park in Maryland. Whether you want to experience history, recreation, nature, or solitude, there is a national park for you. Teachers shouldn’t forget the very cool Teaching with Historic Places that uses properties listed in the National Park Service’s National Register of Historic Places to enliven history, social studies, geography, civics, and other subjects. TwHP has created a variety of lessons, products, and activities that help teachers bring historic places into the classroom. 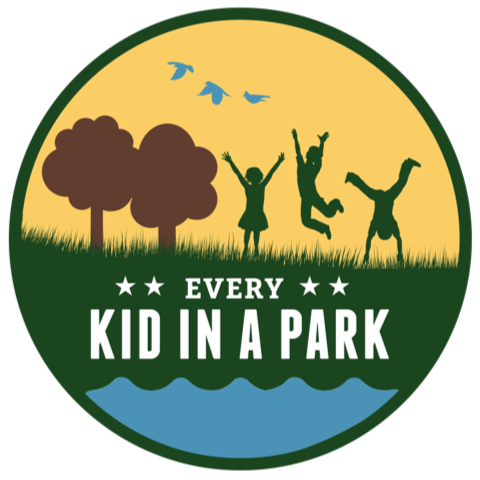 So fourth graders, teachers, and parents take advantage of your summer break and visit your national parks through the “Every Kid in a Park” program!